The Appleby Academy, launched in 2012, is run in partnership with Junior Achievement Isle of Man. 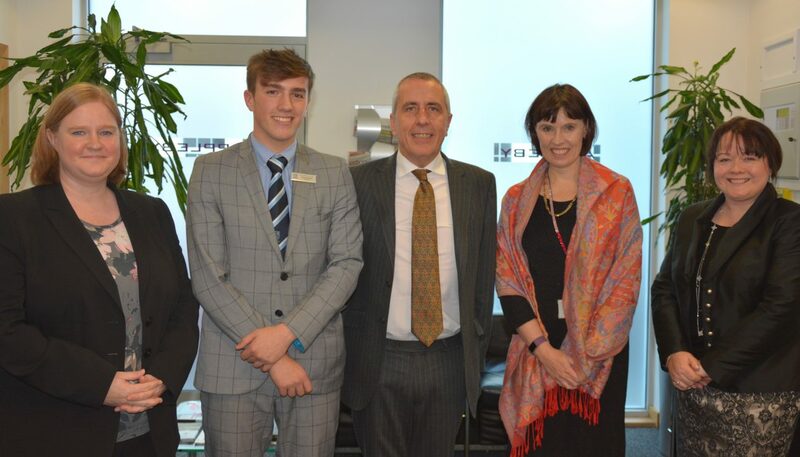 Each year Appleby invites Year 13 students to take part in the 12-week programme, where they work alongside a mentor from Appleby’s Isle of Man office to produce a report based on a real-life business scenario. The top three students then present their ideas to a panel of judges, for the chance to win a summer placement at the firm. The judges heard a range of informative and creative presentations at the final, which was held on Friday 7 December 2018 at Appleby’s office on Athol Street. Drew Fleming of Castle Rushen High School, outlined his solution to marketing communications, Ballakermeen High School student Erynne Gilbert’s presentation focused on human resources and recruitment, while Megan Oldfield from Ramsey Grammar High School examined how a company could implement flexible working. After lengthy deliberations from the judging panel, consisting of Bill Shimmins MHK, Sheila Lowe of the Isle of Man Treasury, Appleby Corporate Partner Claire Milne WS and Appleby Managing Partner Faye Moffett, Drew was announced as the winner. Faye Moffett commented: “The standard of presentations was incredibly high and all three students clearly put a tremendous amount of effort into their reports regarding their chosen business scenario. Drew, Erynne and Megan should be very proud of their work; it was a difficult decision. For more information visit the Appleby website.